Do the released fish really survive? This is the article printed in the 1st issue of the Nakhlyst for 2009 (in Russian). I have decided not to translate the whole text — for the Western readers most of this information is not new, especially the know-how on fish handling. 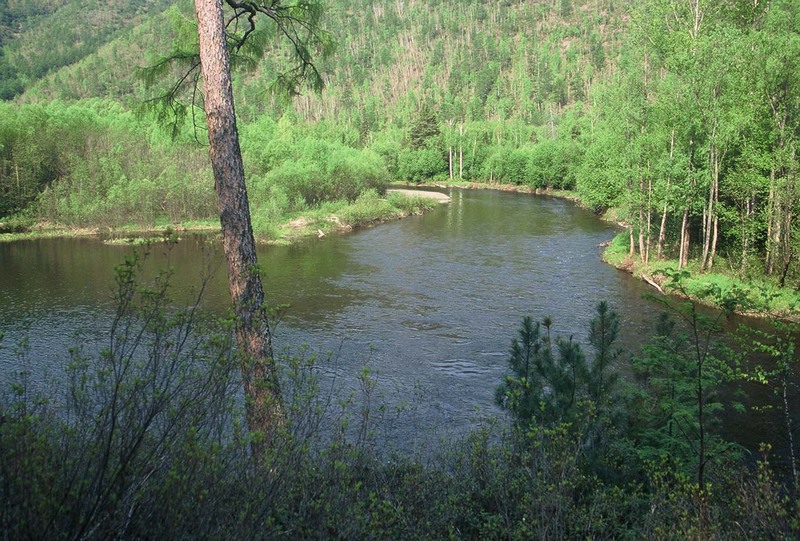 In the last years in the Russian sport-fishing community the arguments between the supporters and opponents of the catch-and release fishing are becoming more intense. Everybody knows that the best fishing is in remote places. 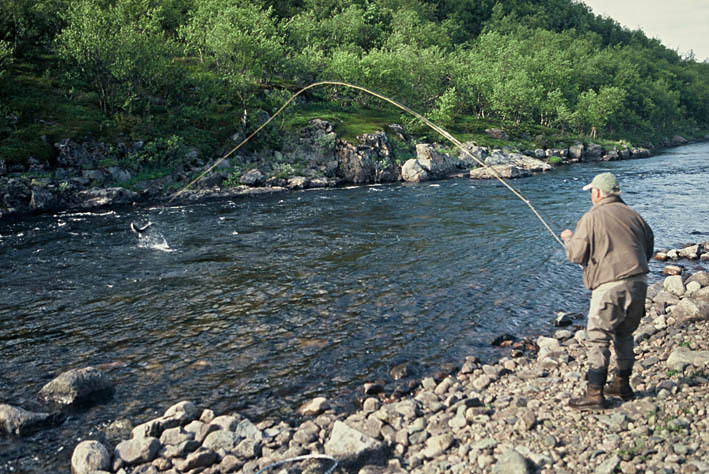 If you are lucky to get to the fishing paradise, release your catch, do not make this place not as good as it was yesterday..
Kola Peninsula, Sidorovka River. On salmon streams the fishing is done mostly with a guide who helps the fisherman to land the fish and release it with no harm. • More fish will stay in the river, and could be caught one more time. The population remains healthy. • A fisherman can fish for any time with no necessity to spend time for cleaning, salting, preserving the catch. • According the scientific data the mortality of the trout after release can be between 5 and 25 %. Single barbless hook is the best for the fish survival. • Do not forget the experience of the hatcheries where the fish from the brood stock of carp, trout, etc. are handled by the workers for many years, with no apparent harm. 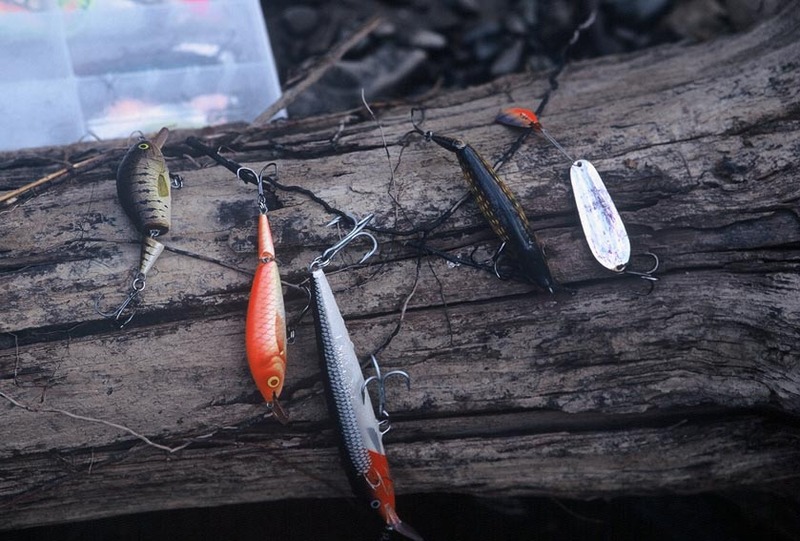 The lures which the fishermen normally use for taimen. Big share of fish caught with treble hooks could be seriously wounded. This is not the worst «mouse» I had seen. Some greedy fishermen put 4 (!) big treble hooks on such a «sportfishing lure». • The fish is wounded, loses its strength, is exposed to deadly stress.. The fish is very tender and wulnerable creature. If you catch if with hook-and-line, it is doomed. So, there is no need to release as the fish will die in any case. • Even if the fish looks OK and is trying to break away from your hands, it will die in an hour or in a day. • The fishermen releasing the catch are the sadists which like torturing creatures which they do not need as a food. • The fish is learning, and it is hard to catch it one more time with hook-and-line. The «schooled» fish will teach its friends avoiding the tackle. So, in the waters where fishermen often release the catch it is hard to catch anything with sport tackle. How could I reply these last cases? First, any fisherman is to release the catch if he had landed a rare and protected fish species. It is assumed that at least part of the released fish will survive — and it is happening in the reality. Single hook is much safer for the fish comparing with a big treble or two trebles, especially if the fish is hooked like this. By the way, do you see now why the hook is to be very-very sharp? Even if the maximum numbers of the fish mortality are correct, 3 of every 4 released fish will survive and reproduce. 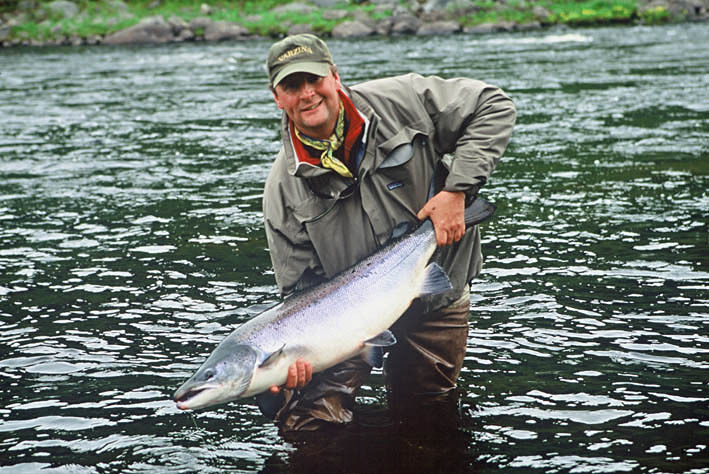 By the way, in 2005 in the Kola Peninsula the official «mortality norm» for catch-and-release of Atlantic salmon was 25 %. 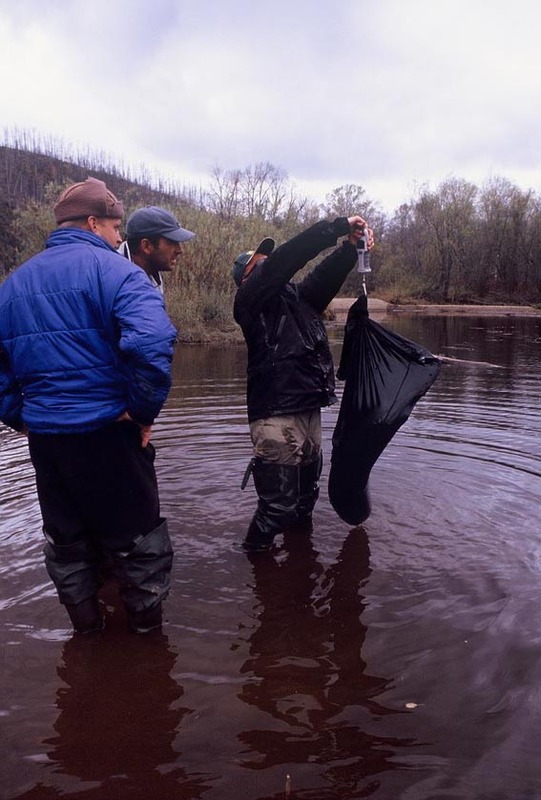 So, with a license for, say, 250 fish the clients of an outfitter could catch-and-release no more than 1000 fish. Most of the fish are tough creatures, and even the treble hook of a fishing lure has no match to a harbor seal of some ocean predatory fish (for instance, handsawfish). These ones simply tear fist-size pieces of salmon flesh, and the fish can survive even these wounds. 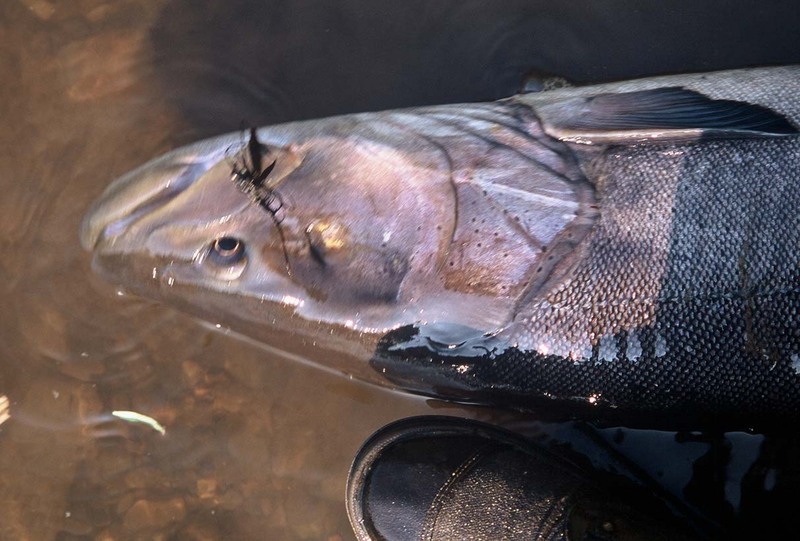 If you were able to watch the run of Pacific salmon, you could see many fish with healed or fresh wounds running upstream as fast as the healthy ones. The issue of catch-and-release is very complicated and ambiguous; the question of «fish in general» is totally senseless. You should discuss the concrete fish species in their specific physiological state. I think that all resident fish could and should be released if there are no predators nearby (an otter or an osprey will easily utilize the tired fish). So, it is good to release taimen, lenok, or inconnu. On the other hand, releasing pike or burbot is salmon stream is a crime. Leave them on the bank if you don’t need the fish; the hungry birds or animals will use it. The next important condition is to land the fish to be released fast. Use special stretcher for weighing, and do not hold the fish for too long when taking the pics. In the Rybachte S Nami fishing magazine I had seen the photos of a degenerate which was using the Boka-grip at the inconnu. That guy should be flogged with his spinning rod... There is no need to dip your hands into the river before touching the fish; no professional hatchery worker is doing this. This silly thing was invented by my beloved writer Ernest Hemingway. Debarbing the hooks is one more folly. The fish are much sturdier to wounds than any warm-blooded creatures. 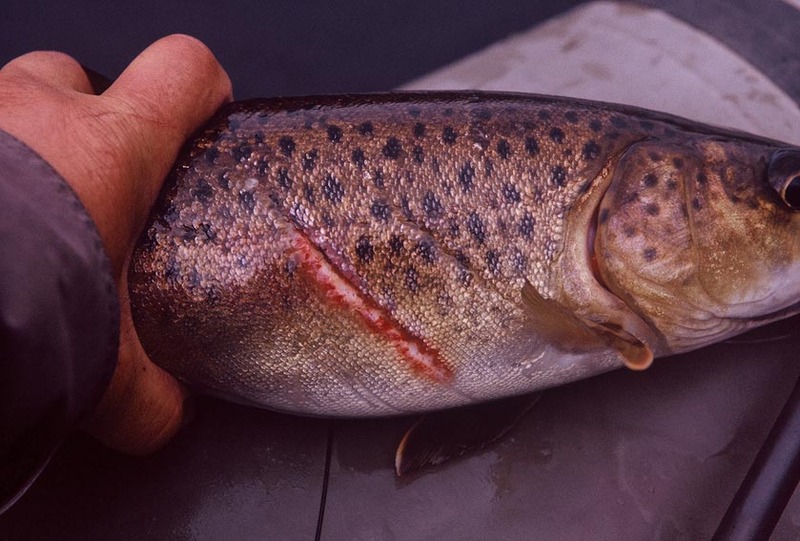 I used to catch a trout with a deep, healed scar from a spear. On the whole, it is everything rather straight with the resident fish; with the sea-run ones it is not that easy. There are great differences between the stocks of one species, and between the vulnerability of the silver and rough-skinned dark fish to the wounds. The dark fish is not fighting as violent, so it is loosing not as much energy. 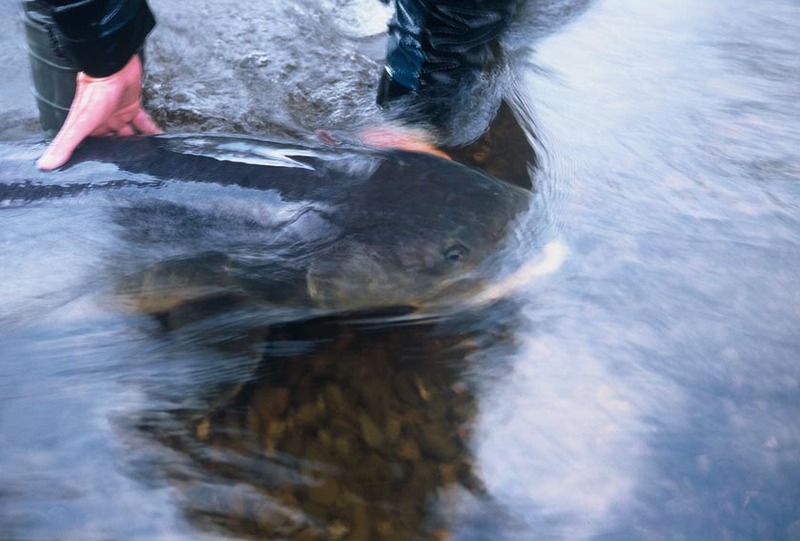 After the release the early salmon running in May and June will have to stay in the river for several months in rather warm water before spawning, which is also energy-consuming. The fall run fish which is going to spawn the same year does not have these problems. 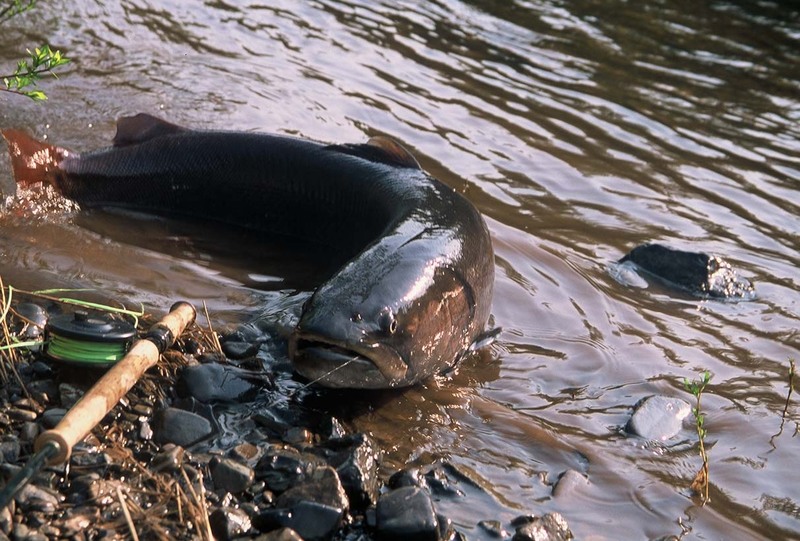 Salmon from the fall run which will be wintering and spawning only in the next fall are the most vulnerable. So, I think, with the fish from such fall stocks (same as early spring salmon) the catch-and-release is an inadmissible amusement. 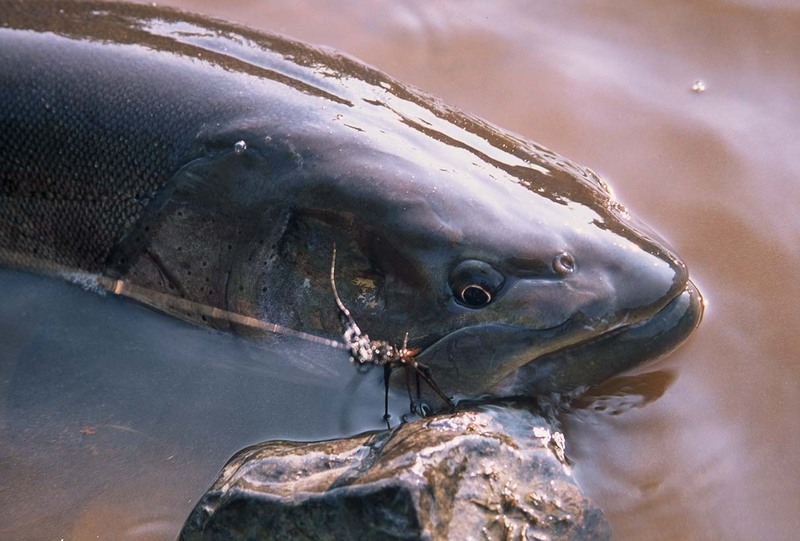 I have the same opinion on the fall-running Kamchatka steelhead salmon, but the resident trout could and should be released with the abovementioned precautions. Couple of words on such and unworthy of a true fisherman «sport» as trolling. Trolling is completely intolerable on the big lakes populated with lake-resident trout. The released little fish sink down through the thermal layer and are subject to severe thermal shock. MS: I agree with most of the conclusions of RM — he really knows the Salmonid fish and «feels» the issue. No wonder that there are much more supporters of the catch-and-release among the fly-fishermen comparing with the spin-fishermen. Many spin-fishing lures require the use of the treble hooks, sometimes multiple ones. A person using the trebles is unknowingly trying to convince at least himself that the hooked fish is doomed anyway.. 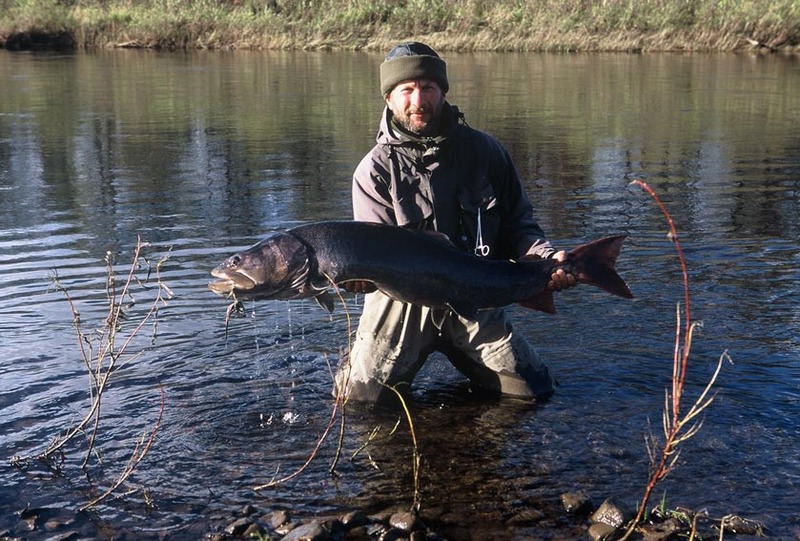 This big salmon is a trophy-of-the life for one fishermen, and 10 kg of tasty fish flesh — for another. Which position is better from the fish’s point of view? 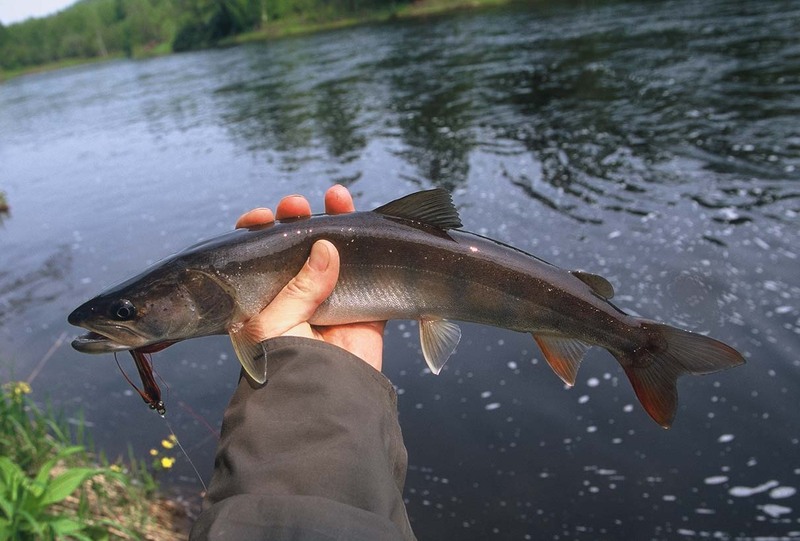 It is necessary to mention that in some areas (such as the Kola Peninsula) there is already some competition between the «pure sportsmen» and the fishermen which like to kill the fish and take it home. 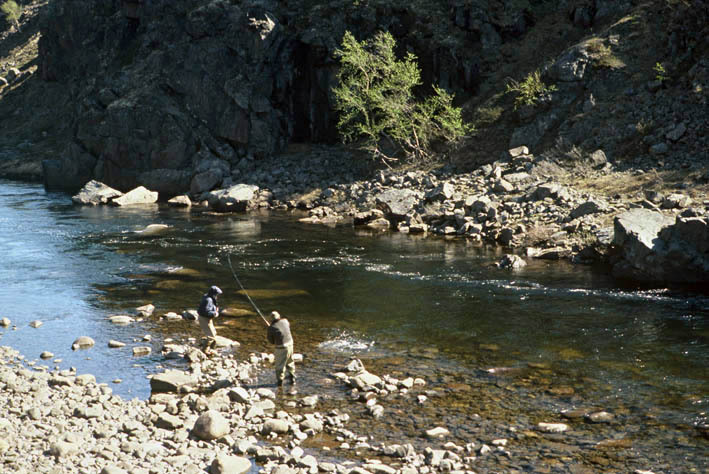 They do not like the idea of the catch-and-release-only areas which are starting to appear at some popular rivers like the Kola. A good fisherman should know how to handle his trophy. My personal opinion supports the case of the pro-release side; it is especially important concerning such long-living creatures as taimen. 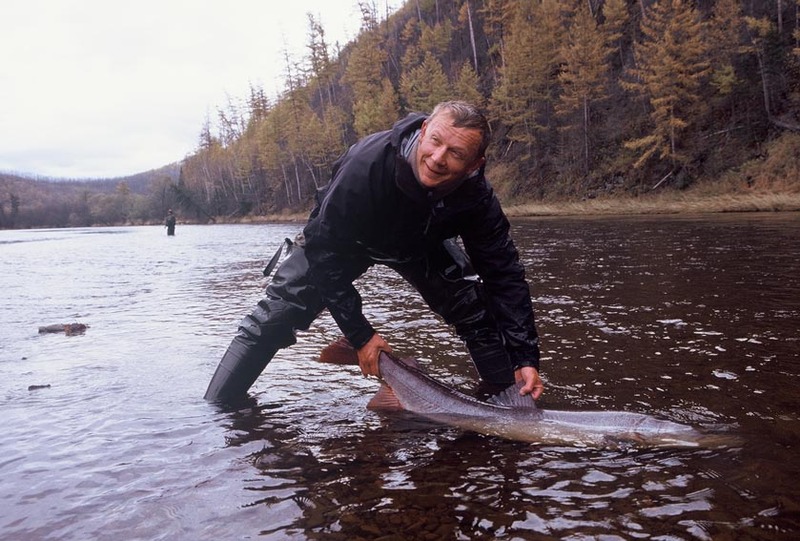 In some areas of Siberia this fish has almost disappeared because of us, fishermen. In one article I had read something like: «Later I have learned that the lucky fisherman had caught two more taimen — one was 2 kg, and another 1,8 kg.» What can you add... the 2 kg taimen is a young, immature fish; it is the same as 200 gram pike of bass. 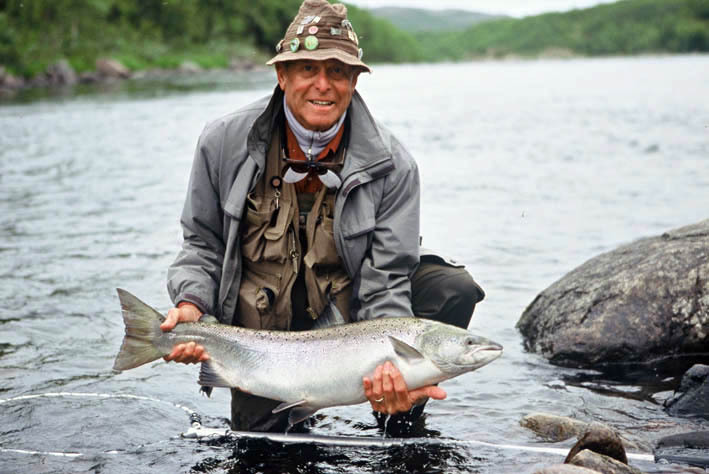 Many rivers where it was easy to catch a 20-30 kg fish not long ago are now completely «cleaned» of any taimen. 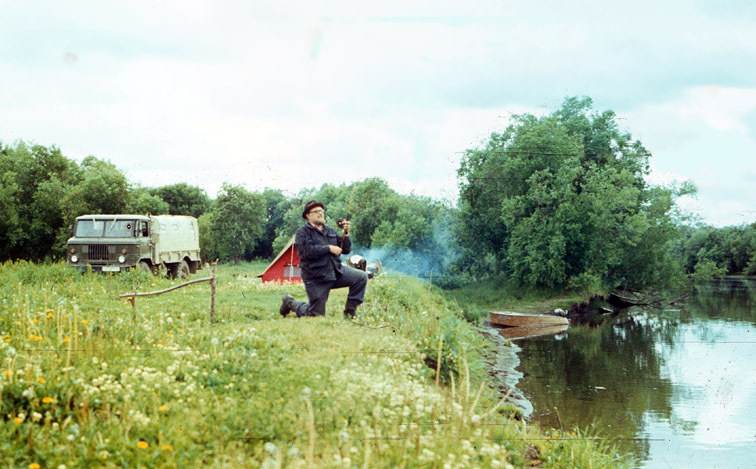 At the Russian web-pages it is easy to find many images of happy fisherman holding a dead or dying taimen for the gills. In the areas with the two-legged predators taimen disappear as fast as the Steller’s sea cow or dodo did. 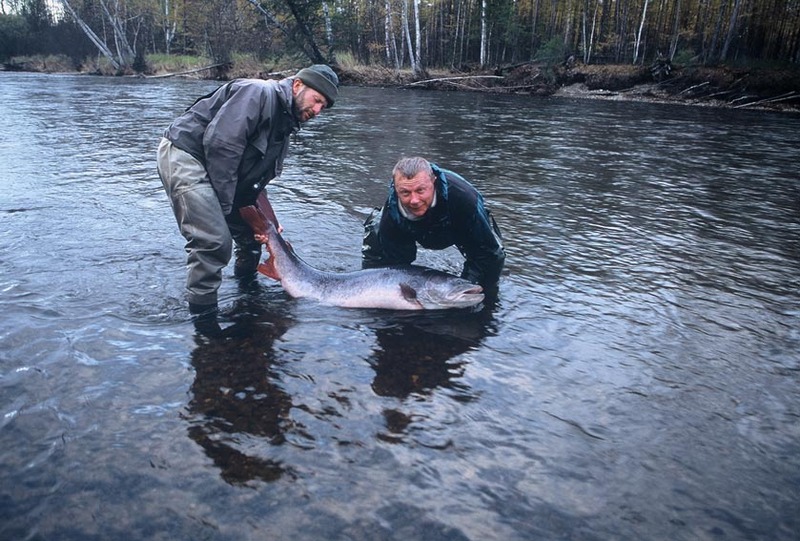 This 36+ kg taimen was released after taking some photos (Bichi River, 2004). Little fish it is safer to unhook without taking it out of the water. 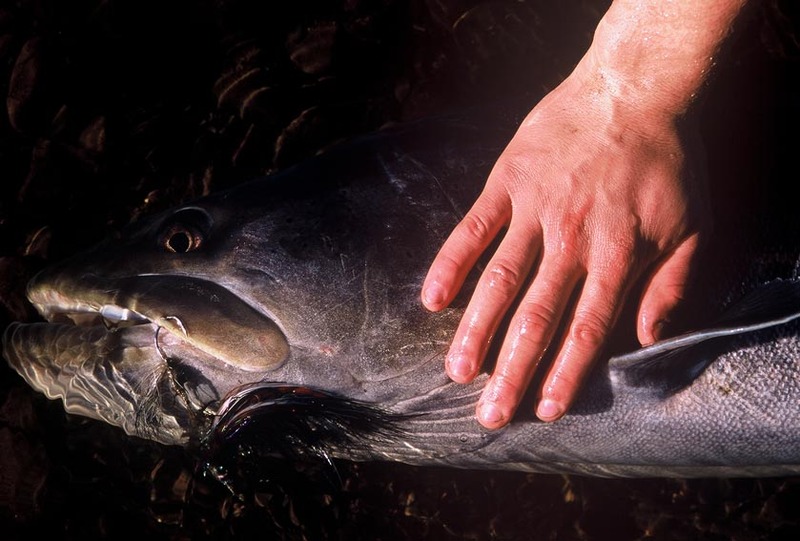 Do not forget the taimen almost 1,5 meter long which is living in the Uda River after at least 3 hook-ups with a lure and a gun wound. This fish has a chance to live for much longer — there are data on 95 kg fish in that drainage. I wish it will not bite a lure of a «normal» fisherman which will simply kill this magnificent fish for food.